Exploring data visually in Insights is simple. The app uses a smart, graphical user interface that analyzes data as it gets added and recommends appropriate data exploration tools and visualizations. 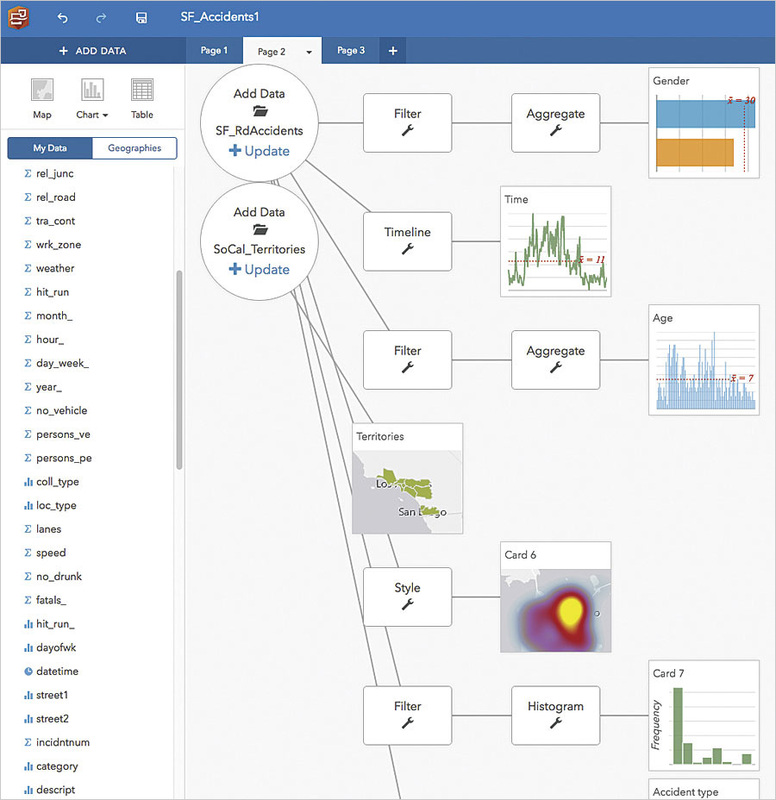 Users manage Insights projects in workbooks that include data connections, iterative analysis, visualizations, workflows, and the information produced by the app's analysis. Workbooks contain pages for collecting related content. On a page, data is visualized on cards as maps, charts, and tables. The app is also valuable for emergencies. When a hurricane hits, for example, emergency responders can use Insights to help during the aftermath. 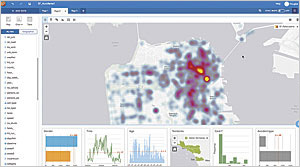 To clear downed trees and open up critical roads, the local department of transportation could use a dataset about the condition of the city's trees from the parks and recreation department, along with the transportation division's own data on the area's roads, and visualize the large datasets together in Insights to quickly identify the most vulnerable trees around the most critical roadways. The city could then send crews out to clear those areas first. The city could also use Insights to get better prepared for future storms and emergencies. By importing the parks and recreation department's tree conditions dataset early, the city could proactively identify problem trees so it can focus its resources there before a big storm hits. This would reduce the time, effort, and risk it takes citizens and the city's workforce to manage and recover from a natural disaster. Insights makes it simple to communicate findings with key stakeholders. The app's integration with ArcGIS Enterprise lets users share Insights workbooks throughout an organization. Similarly, analysis results can be embedded in web pages, making them publicly accessible from any device. What's more, users can clearly communicate how they arrived at their conclusions. 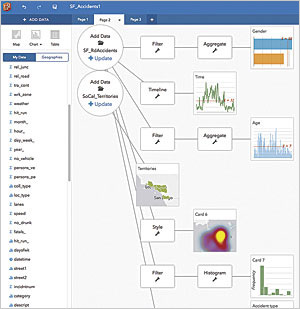 Insights automatically tracks and diagrams workflow steps, such as what data was brought into Insights and when, which filters were applied, and what analyses were generated. This makes it easy to repeat and verify analytical workflows across an organization.